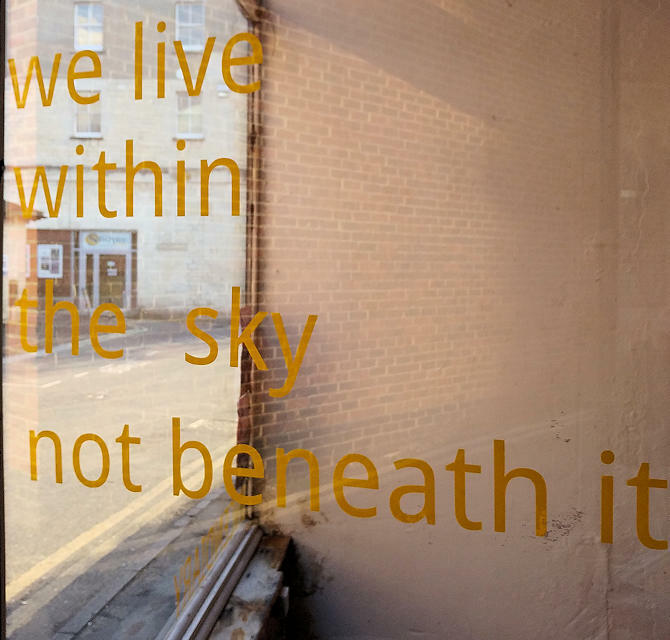 An interesting installation or artwork has appeared in Stroud in a shop along Bedford Street (behind the sub rooms) that goes under the banner of ‘We live within the sky not beneath it’. 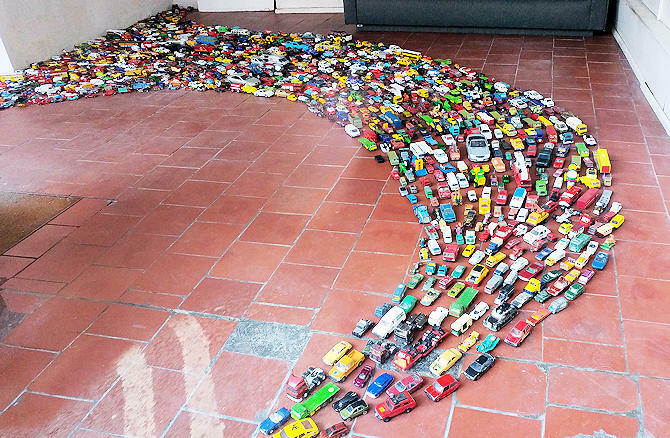 The work consists of hundreds of toy cars going nowhere. 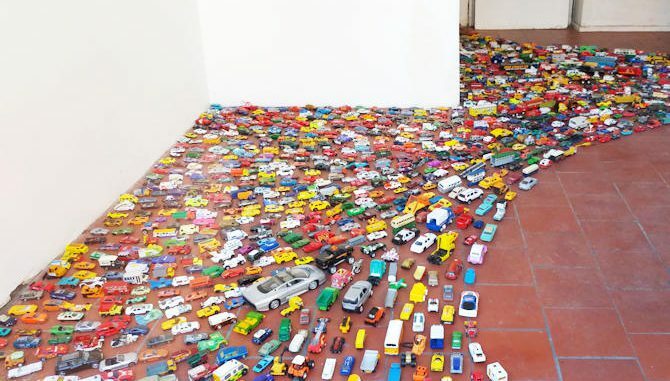 They’re in Stroud, you wouldn’t want to go anywhere else would you! 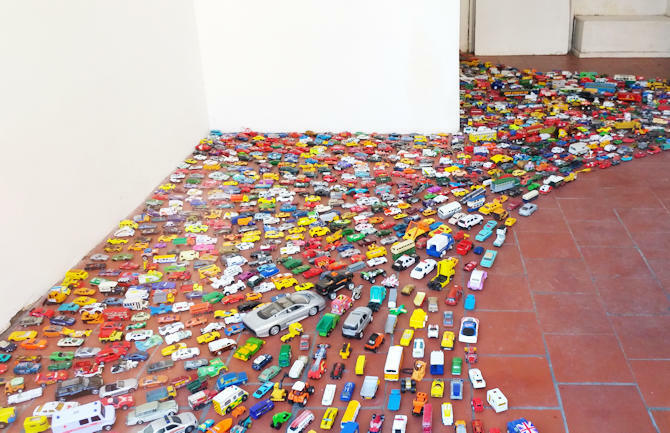 A google search shows that this is an installation by Joanna Wright that is aimed at getting people to think about car use. Link to the website is below.